A joint innovation of the Shenzhen Traffic Police Bureau and Huawei started with a high-level design program that formed the basis of a comprehensive plan for an urban traffic system. 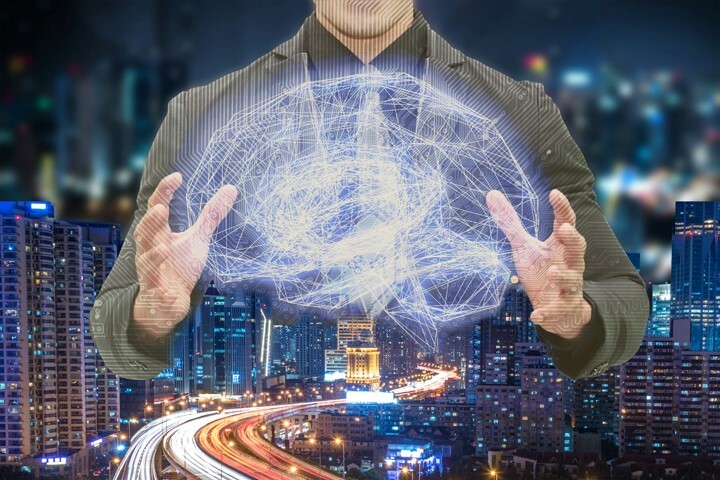 The plan included cutting-edge technologies such as a video cloud, Big Data, and artificial intelligence in order to build the ‘City-wide Traffic Brain,’ a unified, open, and intelligent traffic control system. In just 37 years, Shenzhen has been transformed from a nondescript fishing village to a world-famous, booming metropolis, with skyrocketing economic and population growth. Currently, metropolitan Shenzhen has a population of approximately 21 million, and its GDP has reached CNY 1.94 (USD 0.29) trillion, making it No. 4 in GDP among all Chinese cities. Like many of the world’s other large cities, Shenzhen faces growing pains, particularly traffic congestion. Shenzhen’s land size is less than 2,000 km2, and there are only slightly more than 600 km of roads. It has the highest vehicle density in China with an average of about 530 vehicles per kilometer. As a result, the conflict between people, vehicles, and roads was an increasing problem. Against this backdrop, the Shenzhen Traffic Police Bureau began exploring the feasibility of innovative new ways to solve the problem. First, the Shenzhen Traffic Police Bureau adopted Big Data methods of translating data into solid plans and encouraged public participation to drive the transformation of modern policing mechanisms. As a result, the bureau introduced a series of standardized service innovations, such as the ‘zipper merge’ and reversible lanes. Other efforts included a stronger focus on the rule of law and making enforcement more precise. The bureau also worked to improve driver education. While Shenzhen has always been considered to be at the forefront of traffic management practices in China, the bureau wanted to do more to make city streets safer as the metropolis continues to grow. Previous achievements by the Shenzhen Traffic Police Bureau would have been impossible without the use of a large number of Information and Communications Technologies (ICT) as well as long-term strategic assistance from ICT vendors. We have long considered Huawei to be our most important ICT partner. The bureau and Huawei deepened their cooperation by jointly exploring a more efficient and intelligent traffic management technology architecture — China’s first city-wide traffic brain. This traffic brain is based on high-level design principles that help to comprehensively plan the urban traffic system. The plan includes cutting-edge technologies such as video cloud, Big Data, and Artificial Intelligence (AI) in order to build a unified, open, and intelligent traffic control system. Our goal was to introduce a truly ‘smart’ traffic system. We also improved our use of Big Data to create a unified data collection, analysis, and processing platform to achieve higher levels of information resource sharing, integration, and utilization. A Big Data resource pool was created in the cloud for instant access. As a result, the analysis of traffic data made it possible to deliver more high-quality and efficient traffic services for our citizens. Huawei’s high-speed Optical Transport Network (OTN) enables transmission at 400 Gbit/s, data storage of over 20 PB, and data processing capacity for 10’s of billions of elements. The Shenzhen network carries about 40 times the data of a traditional police network. The Shenzhen Traffic Police Bureau has set up a road monitoring system that can detect traffic conditions through license plate identification, video surveillance, and other methods with a detection accuracy rate of up to 95 percent. The system collects about 700 million pieces of vehicle data every month, and integrates nearly 40 TB of data from 78 system databases, both internal and external. All these contribute to useful Big Data-enabled traffic congestion analysis and optimization. Law enforcement is the main work of the traffic police department. Originally, the Shenzhen Traffic Police Bureau relied on the cop on patrol (on foot or in a car) to confirm that a driver had committed a traffic violation. After we introduced AI technology, the Big Data analytics platform could respond to checkpoint data within seconds. Now that we have technology that can identify vehicle features, the traffic brain can process up to 10 million images per day. We can identify traffic violation images at an accuracy rate of more than 95 percent. In fact, the use of AI technology, which ensures accurate closed-loop processing of the images, has made a tenfold improvement in identifying traffic violation images. In the past, we needed seven days to prepare data resources, develop custom search queries, and perform data analysis to find the proper data for an important case. Today, the Shenzhen Traffic Police Bureau uses a Big Data platform and traffic-analysis modeling engine to create multiple reports for disqualified driving, drunk driving, and cars with multiple violations. As a result, intelligence can be generated and pushed precisely within 30 minutes, which helps pinpoint violations. Recently, 37,055 cases of serious violations of all types were investigated and 874 vehicles with fake or cloned license plates were detained. Police officers’ work efficiency is nine times greater than before. Vehicles with cloned or fake license plates, scrapped vehicles, and vehicles with multiple violations have almost disappeared from the streets of Shenzhen. We also apply innovative technologies to improve citizens’ driving experience. The Traffic Police Bureau has set up a real-time surveillance system for all signal-equipped intersections in Shenzhen, and developed a precise traffic signal control mode based on the traffic time-space software engine. We also collect a variety of data via converged checkpoints and roaming police cars. We can then precisely establish lanes through intersections, and organize traffic flow through Big Data management and control. This has helped us increase road capacity by about 8 percent. In the future, the Shenzhen Traffic Police Bureau will develop smart police terminals based on 5G technologies; analyze historical data by means of traffic simulation to predict traffic volume in each corner of the city; invest nearly CNY 3 billion (USD 453 million) to upgrade all checkpoint systems, including an improved high-definition video system, so that its coverage rate will reach over 70 percent. By relying on the most powerful city-wide traffic brain, Big Data, and innovative ICT measures, Shenzhen will be able to build an even more robust traffic network.